Custom jewelry made on the premises by our Master Bench jeweler. We can take it from your design or ours to your finger, neck, wrist or ears in two weeks. A certified appraiser will accept your jewelry for appraisal by appointment. Appraisal prices range from $75-$120, per item. Pearl and bead stringing done on the premises. We also offer pearl matching to make strands longer. 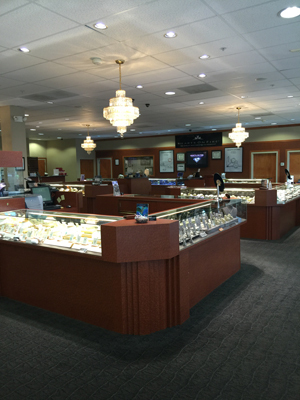 We have a complete full service repair and Custom shop on the premises staffed by our Master Bench Jeweler using the latest in technology such as Laser Welding. All work performed on the premises with while you wait service available Tuesday through Saturday on most repair types. We have many option for qualified buyers including our first time buyers program to assist young people in buying their first diamonds. Our options include a 36 month deferred interest( no interest if paid on time by the ending period), Special 3-5 year at a low interest rate and our regular 12 month same as cash. We also offer a 90 day Lay-a-way. We purchase old gold, silver, platinum, and some watches.